10 Days to Happiness Opens to Rave Reviews! “Dhamma Rae” Davidson meditates as the opening night audience fills the seats. 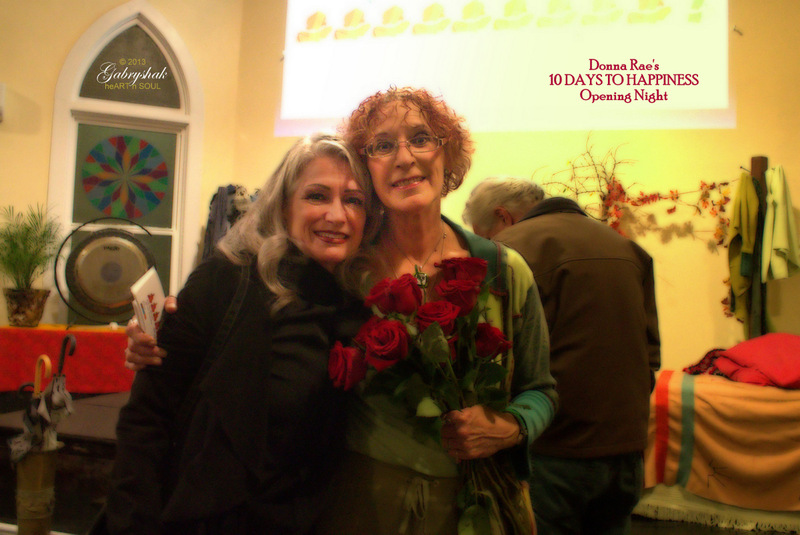 Award-winning playwrite and actor Donna Rae Davidson’s new play debuted to a standing-room-only audience Friday, October 4th at Amazing Grace Spiritual Center. Earning standing ovations both Friday and Saturday evening, 10 Days to Happiness proved that it could make audiences happy in less than two hours! Furthermore, the reviewer says, “Davidson plays a version of herself, one who thought a ten-day silent retreat off in nature would be a way to assess a life that seems to be a mess. She claims that she had somehow missed the fine print with regard to meditating for ten-and-a-half hours per day. For ten days. She does the math. You’ll find the whole review at The Ballard-News Tribune. 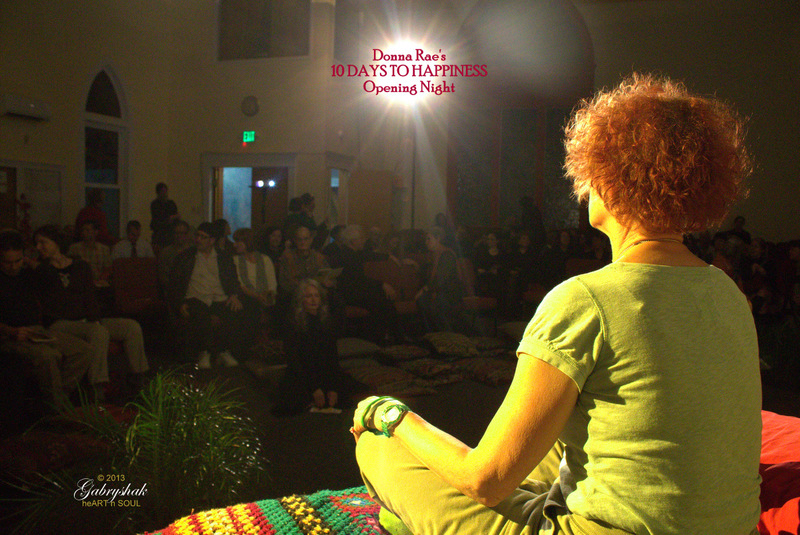 “Donna Rae successfully conveyed to the audience the mental and physical challenges of her extraordinary meditation retreat. I felt I was right there with her throughout the journey… I related to the boredom of long meditations, almost panicky anxiety, inability to calm her mind, constant watch checking and especially the physical discomfort of trying to keep her body still while focusing on her breathing. “Then, when she began to learn how to work the system and get around the rules without actually breaking them, the last few scenes breezed by and I was laughing out loud. The backdrop slideshow was also very effective. “I thought she nailed the whole experience with her own quirky, humorous perspective. The fact that the first few scenes were uncomfortable for me and seemed overly long probably speaks to my own inability to find peace in silence and stillness. 10 Days to Happiness is BACK BY POPULAR DEMAND, opening Thursday, February 20th and playing Fridays and Saturdays through March 15. Performances will be held at Amazing Grace Spiritual Center in Ballard, located at 2007 NW 61st St. Seattle, WA 98107 (the corner of 20th NW and NW 61st).